Information: A heavy duty throttle gives you thumb or finger tip control of your power. A steering wheel is built into the side of the controller for you to turn to give corresponding movement of the car - instantly. 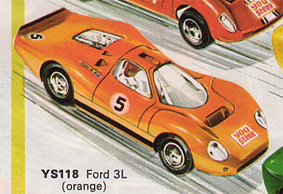 Category Details: Scalextric You Steer! 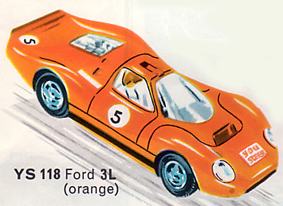 Model Details: Also known as a Ford P68 the 3L GT was a sports prototype racing car, which was built in the U.K.